The grand entrance to Dutterer Family Park hints to the pleasantries inside. Photo by Atticus Rice. Just steps away from campus, a grand entry leads to luscious fields, a sprawling play structure, a gazebo, and a winding concrete foot path. 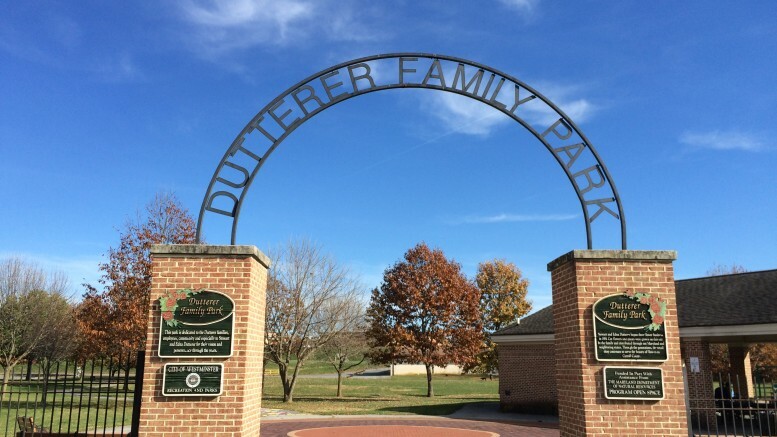 The grand entry leads to Dutterer Family Park & Fields, a Westminster City Park located at the crossroads of Dutterer Way and Winters Street, just one block off of Pennsylvania Avenue. The foot path at Dutterer Park provides glorious views for those who take advantage of its location. Photo by Atticus Rice. Sharing a border with Westminster’s West Middle School, the grounds, more commonly known as Dutterer Park, boast a booming number of daily visitors, especially when the sun is shining. The land was first developed as a flower business in 1919 by Stewart and Edna Dutterer. They distributed cut flowers and plants that they grew on site throughout Maryland and nearby states. The Stewart N Dutterer Flower Shop, located just a block away from the park, served Carroll County for nearly a century, closing its doors in 2012. Today, the park shines as one of the City’s top destinations for children of all ages—but just 13 months ago the same couldn’t be said. The park’s play structure was nearly 20 years old, falling apart, and unsafe for children to use. 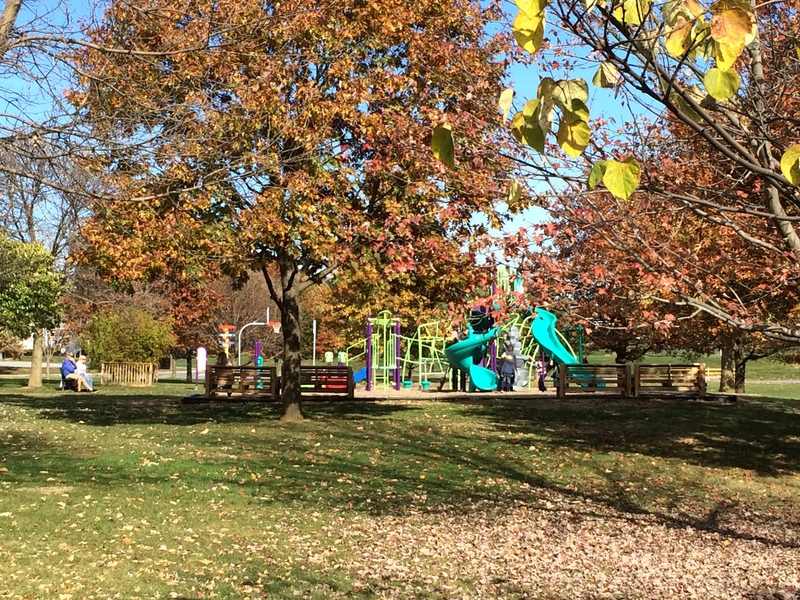 Thanks to a collaboration of partners, the park received a face-lift with a brand new play structure in October of 2015, helping bring the entire community together. 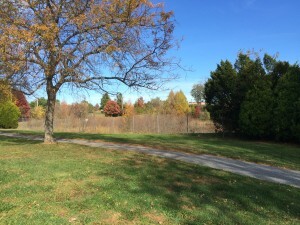 As reported by the Carroll County Times, the project started back in December 2014 when KaBOOM!, a national nonprofit dedicated to making active play accessible to children, contacted the Boys and Girls Club of Westminster—which has strong ties to McDaniel—about building a playground around its campus on Union Street just behind the College’s Whiteford Hall parking lot. Unfortunately, the project fell apart because the club doesn’t own any of the nearby property. Intent on building the playground somewhere nearby, KaBOOM! 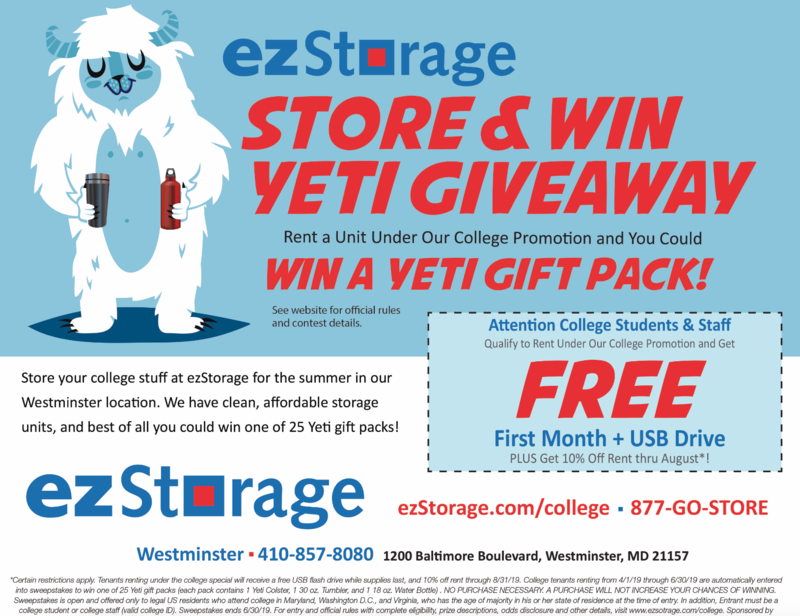 partnered with Westminster Recreation and Parks and Habitat for Humanity with a grant from Baltimore Gas and Energy (BGE). This partnership with the City allowed for the existing park to be used as the build location, and Habitat for Humanity came on board because of the organization’s high number of homeowners in the area. Through the partnership, over 200 volunteers spent five hours one Friday removing the old structure and installing the new one which was open to the public within a few days of installation. The park’s new play structure as seen through the fall foliage. Photo by Atticus Rice. The new structure, as told by Erin Bishop of the Boys and Girls Club, was designed by the children and is for the children. Over the summer, KaBOOM! sat down with a number of children at the club and had them plan out their ideal park. Their ideas were then put in place by the architects, and the structure was created. As printed on the “Welcome to your Playspace” sign at the park, the “kid-inspired playspace was made possible through the funding and volunteering power of BGE, City of Westminster, Boys & Girls Club of Westminster, Habitat for Humanity of Carroll County, KaBOOM!, and this community.” The final word on the plaque truly symbolizes what brought the new Dutterer Park to life. The build day featured volunteers from various backgrounds, many of who hailed from McDaniel, showing the college’s dedicated support for the Westminster community. 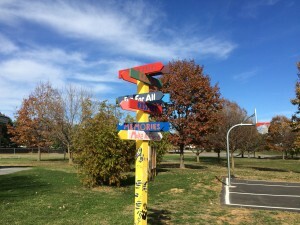 Through the sports fields, plaza, play structure, and gazebo, the park’s winding foot path features a painted section with fun imagery and games for all to play. The hopscotch area is especially popular among the children. The park’s directional pole encourages positive behavior among the park’s visitors. Photo by Atticus Rice. 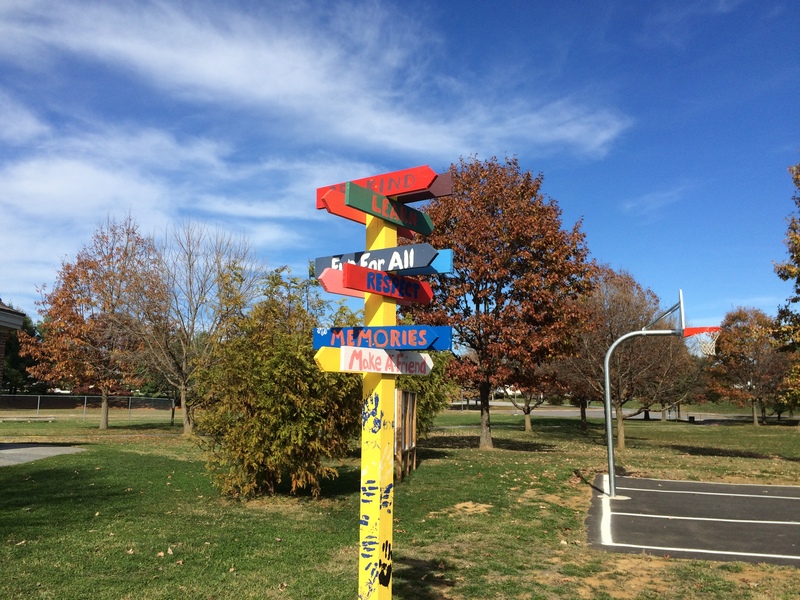 In keeping with the community aspect of the Dutterer area, a directional pole stands tall near the center of the grounds, directing visitors to “fun for all,” “memories,” “make a friend,” and “be kind,” among many other positive messages. Despite many of the new features being geared towards the community’s youth, there is much to be found for McDaniel students at Dutterer Park. The foot path is excellent for anything from a casual stroll to a fast-paced run. The sports fields can play host to any number of games students wish to play, and the basketball court is a perfect replacement for the Gill Gym on a sunny day. Like all Westminster city parks, areas of Dutterer Park can be reserved for either half a day or the entire day (10:00 a.m. to 7:00 p.m.) for $75 or $125, respectively. Looking to take advantage of the wonder that is Dutterer Park? The fields are just a few minutes from campus, across Pennsylvania Avenue from the Conference Services building next to Whiteford Hall. The park can be found mostly empty during the weekdays, the perfect time to organize a get-together.